Home Advertiser A Letter from the Editor: We're Waiting! A Letter from the Editor: We're Waiting! We’re not so patiently waiting for spring. Once we’ve delivered our Valentines, the signs of a new season are all around us for those with eager eyes to see. There’s a little more daylight. Crocuses and daffodils are pushing their cold-hardy faces through the frosty soil. The trees are sporting those tiny nubs that signal new leaves and blossoms on the way. Sturdy little songbirds are showing themselves among the still-bare branches. I like to think of these last cold months, the grumpy gasps of winter before the change of seasons, as a restful time to plan and prepare for the glory of what’s to come. I pore over new plant selections, do a little garden cleanup, maybe do some inside spring cleaning, all with an eager eye toward the energy of springtime in River Country. 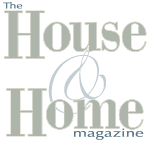 In this February/March issue of The House & Home Magazine we’re happy to have one foot in each season. We welcome you inside for comfort foods on cold nights and charcuterie platters for cozy gatherings with friends. While you’re still inside, you can read about the Williamsburg Symphony Orchestra and the Virginia Institute of Marine Sciences’ lecture series. Make plans to attend a concert or to learn more about the marine world at one or more talks in the lecture series. Then, make a jewelry wish list by considering the mystical properties of our favorite gemstones. On the other hand, we’re gradually venturing outdoors, too. We’ll preview all the area’s garden tours scheduled for Historic Garden Week in Virginia, as well as the historic Gloucester Daffodil Festival, a lively celebration of the daffodil industry in Gloucester County. Also, mark your calendars for Shuckapalooza, a day-long, multi-site adventure highlighting everything oyster. Learn, taste and sip your way through seven exclusive oyster experiences. In other stories, you can ride along on a stylish fox hunt, and learn about the singular Chesapeake Bay crab pot, invented and patented right here in Harryhogan, near Callao. Still enjoying the great outdoors, we’ll feature songbirds of the Northern Neck. You’ll want to grab your binoculars and notebooks and venture out to catch flashes of yellow, red and green, and hear the captivating calls of our springtime feathered friends. As always, you’ll see a few of our favorite local destinations, a little art, lovely homes and interesting people.